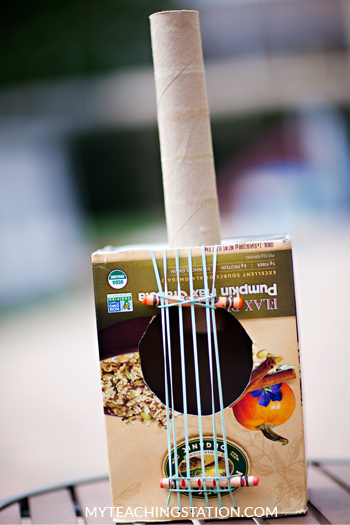 Use recycled household items to make a simple and fun guitar with your child. 1 cereal box or shoe box. 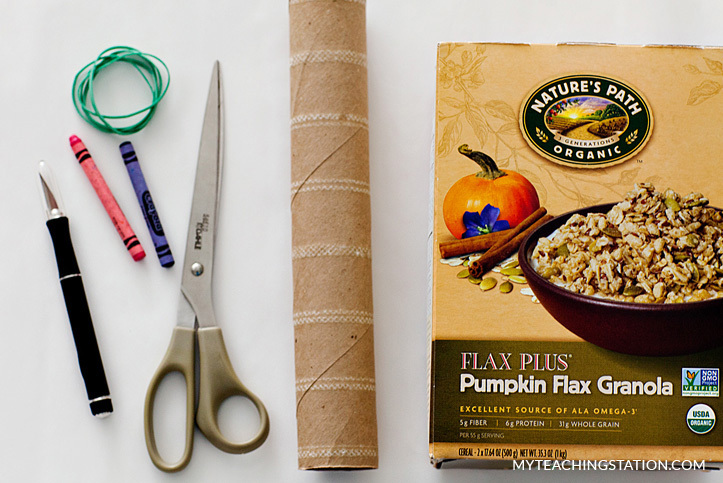 1 recycled paper towel tube. Gather your craft tools and materials to get started. 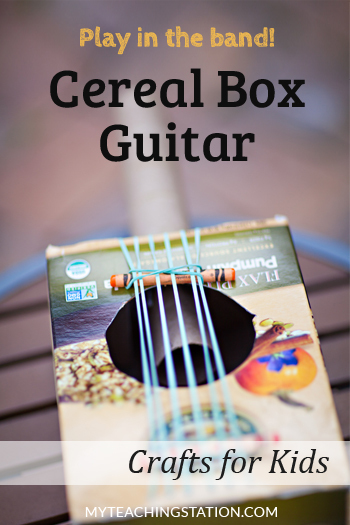 Using the craft knife or scissors, cut a 3-4 inch circle in the center of one side of the cereal box. You can use a container top to trace a perfect circle or just get it close by eye. This hole will act as your sound hole. 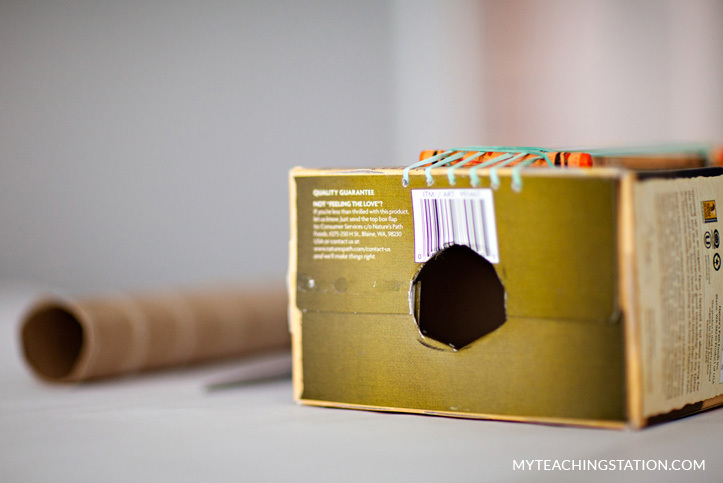 Punch two sets of six holes in a straight line at each end of the box using the craft knife, scissors or small screwdriver, but do not make them too big. These holes should be close to the box edges and approximately 1/2 inch apart from each other to allow room for string vibration. 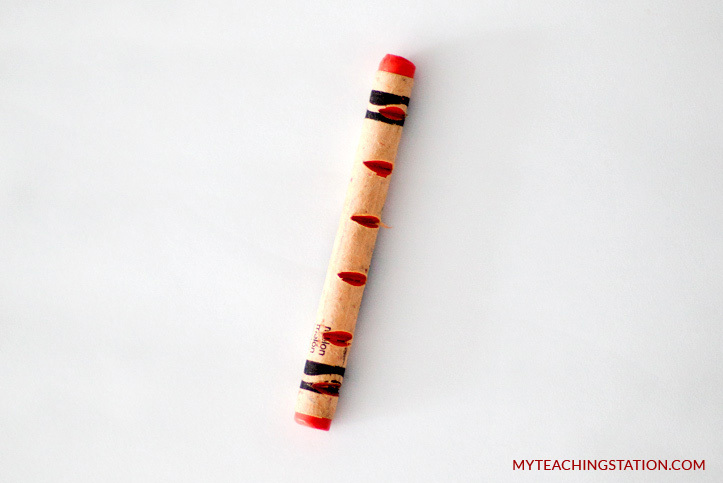 Now, using the craft knife, cut six V-shaped grooves into each crayon as shown below. The rubber band will sit in these grooves when attached. Cut six rubber bands. 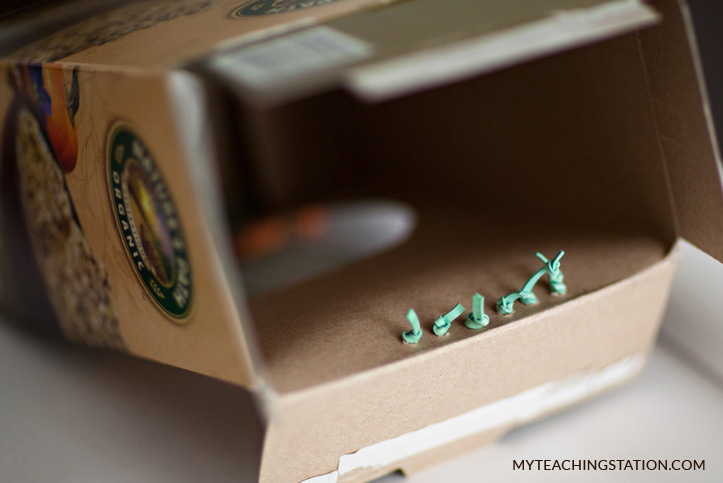 Thread them through the small holes on one side of the box and tie knots from inside the box to keep them from pulling out. Then stretch each rubber band across to the matching hole on the other side and again, thread it through using a screwdriver. Secure each rubber band with another inside knot. Next, cut an X, roughly the size of the paper towel tube at the unopened end of the box. Gently press the flaps inward and continue adjusting until the paper towel tube fits snug and tight. 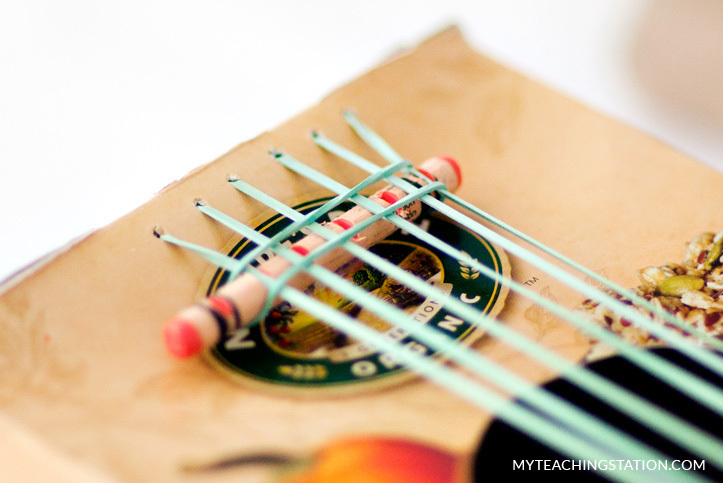 Then, secure the crayons in place with the two remaining rubber bands to lift the "strings" up from the box. Great job! 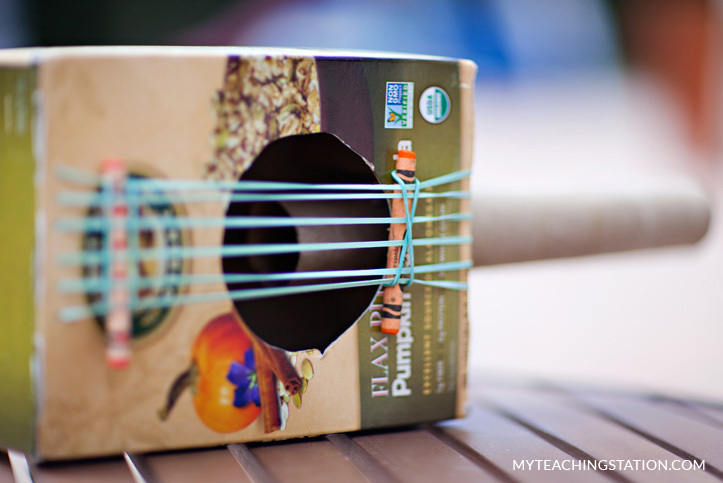 Of course, you can customize the look of your guitar with painting or gluing pictures on it, but the best part of this craft is hearing your toddler sing a play their original songs!